Mr. Peterson has over twenty years of experience in the field of Civil Engineering that includes designing, drafting, and surveying subdivisions, roadways, utility lines, and commercial and retail site improvements. Mr. Peterson began his career with the Town Engineer for Elk Ridge and Woodland Hills, Utah while he was an undergraduate. While there, he reviewed plans and performed engineering inspections for proposed developments within each community. After graduating from BYU, Mr. Peterson moved to the Phoenix area and began working as a Geotechnical Engineer. In this capacity, Mr. Peterson's experience includes: public works project such as airports, pipelines, roadways, bridges, educational facilities, sewer lift stations, and pump stations; private developments including hospitals, commercial buildings, retail buildings, parking lots, and power plants; and forensic projects including custom homes, numerous residential subdivisions, hospitals, commercial and retail buildings, sewer lift stations, parking lots, roadways and utility lines. 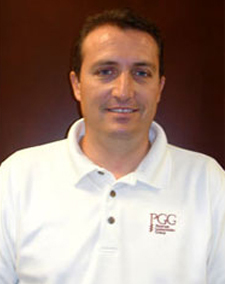 Mr. Peterson founded Peterson Geotechnical Group in the late summer of 2006, and has worked to steadily increase the scope of services and size of the practice since then. As Principal Engineer for Peterson Geotechnical Group, Mr. Peterson's experience includes coordinating geotechnical and forensic investigations, overseeing and monitoring field testing activities, providing, conducting and overseeing laboratory testing, performing geotechnical calculations, writing and reviewing reports, and providing expert services including deposition and trial testimony and mediation attendance on construction defect lawsuits. Water tanks including the Panda Gila River two million-gallon storage tank and the Saguaro Acres water tank. Slope stability analysis and repair recommendations for State Route 191 between Clifton and Morenci, Arizona. Geotechnical engineering evaluations and recommendations for proposed Walmarts and CVS pharmacies. Geotechnical engineering evaluation for the Cox Communications Main Facility in Phoenix, Arizona. Liquefaction, dynamic settlement, and lateral spreading analysis on the Cherry Hills Interchange in Farmington, Utah and for the Salt Palace Convention Center expansion in Salt Lake City, Utah. Dam safety evaluation on the City of Phoenix Dam No. 3. Constructability evaluations for numerous sewer and water lines throughout Arizona. Geotechnical engineering evaluations and recommendations for proposed pedestrian bridges along the US60 freeway and the 202 San Tan freeway. Bridge in Coconino County, Arizona and the Pantano Railroad Underpass in Tucson, Arizona. Performed pavement design and subgrade analysis on numerous projects across Arizona. Power plant projects including the Gila River Project in Gila Bend, Arizona and the Redhawk Power Plant in Wintersburg, Arizona. Government buildings including the Arizona Department of Transportation maintenance building in Kingman, Arizona and commercial buildings including the Gate Gourmet warehouse in Phoenix, Arizona. Numerous forensic geotechnical evaluations for various residential and commercial structures throughout Arizona, including Yuma, Somerton, Parker, Bullhead City, Fort Mohave, Lake Havasu, Kingman, Show Low, Jerome, Prescott, Prescott Valley, Cottonwood, Flagstaff, Winslow, Show Low, Lakeside, Sierra Vista, Roosevelt, Phoenix metro, and Tucson. Designing and overseeing forensic geotechnical repairs for numerous commercial and residential structures including injection grouting, deep foundations (helical and push piers), structural and non-structural cut-off walls, French drainage systems, drainage improvements, etc. Numerous moisture Intrusion evaluations throughout Arizona in order to determine source(s) of moisture contributing to microbial growth, soil movement, efflorescence, perched groundwater conditions, etc. Soil densification using compaction grouting at the Sun Village Condominiums in Surprise, Arizona, at the Northern Trust Bank in Scottsdale, Arizona, the Lincoln Towne Centre in Scottsdale, Cornerstone Building in Tempe, Tuscany Ridge Apartments in Glendale, Arizona and various other residential homes. Soil corrosion analysis relating to chlorides and sulfates at various projects in Arizona.